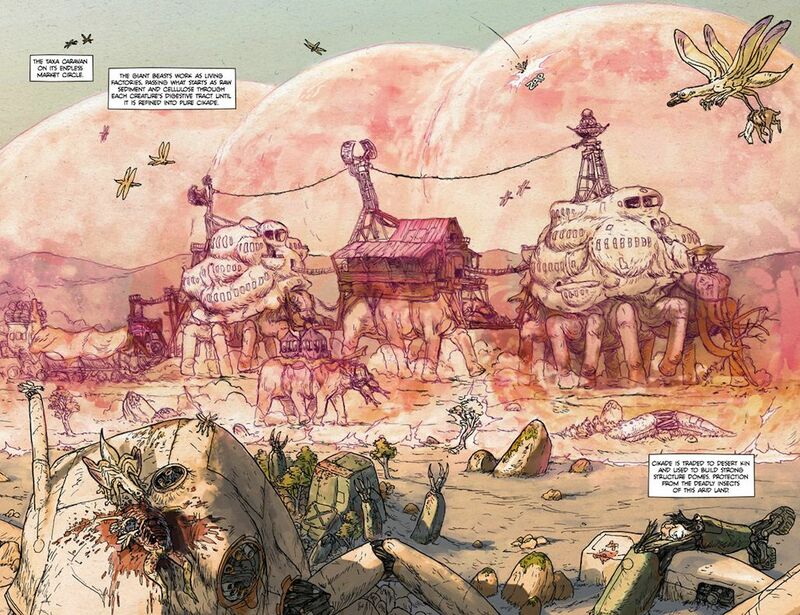 After reading the first few pages of the comic book series Prophet, I assumed that the book, written by Brandon Graham aided by some incredible indie artists, was some sort of far future post-apocalyptic tale with a man attempting to survive an unrecognizable Earth with a plethora of horrifying beasts ready to devour him. If this was all the book entailed, I was ready for the ride, but the early issues hinted at something more epic. 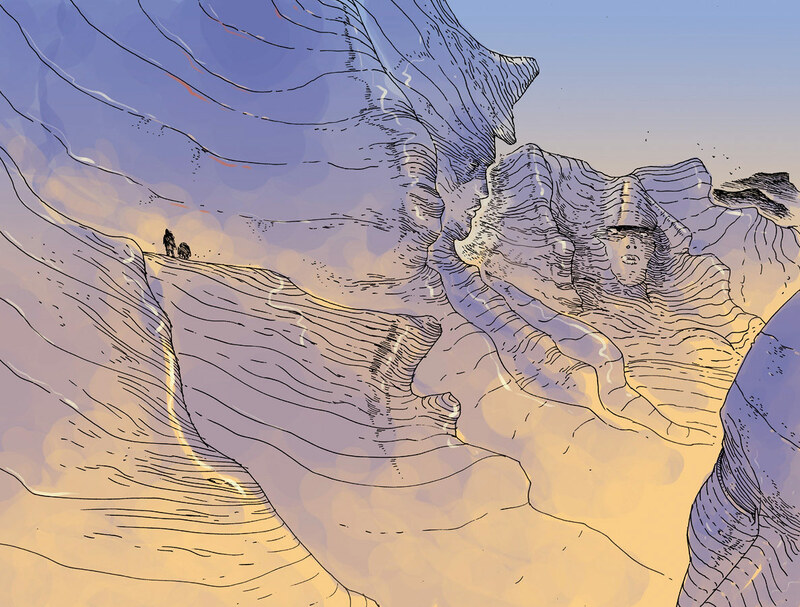 Although the monstrous and sometimes grotesque art, especially in the first few issues, looked to take the series to some horror bound avenues, it was more of a way to guide the reader into Graham’s rich and dense world(s) of Prophet. 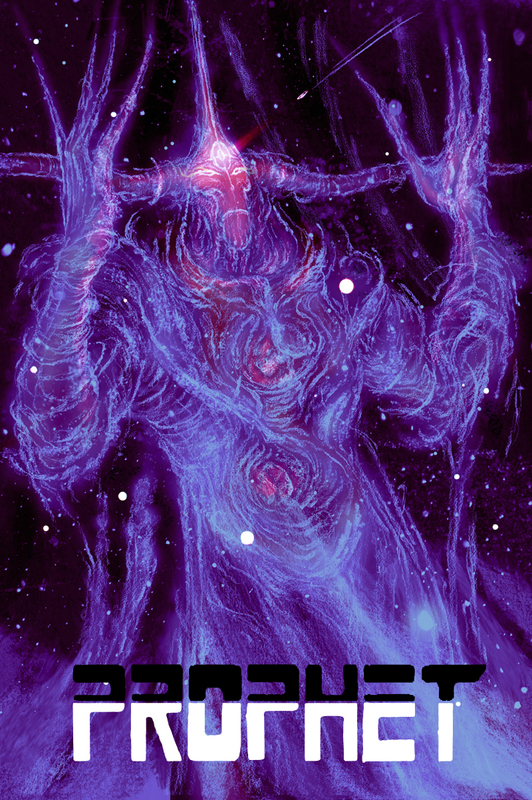 I will admit there are some issues where I had to re-read the story in order to gain a better understanding of what was going on, but the mysterious and unexplained elements of the book give Prophet its unique storytelling that’s propelled me to search for more collections and comics for this truly bizarre but engrossing science fiction series. Without spoiling the whole story, the series begins with a clone (one of many) who has come out of a very long sleep to complete a mission to reactivate a machine that will awaken other clones throughout the galaxy. Of course this magnificent feat has major implications not only for the clones but other beings as well, where some issues focus on other clones and creatures in other worlds. 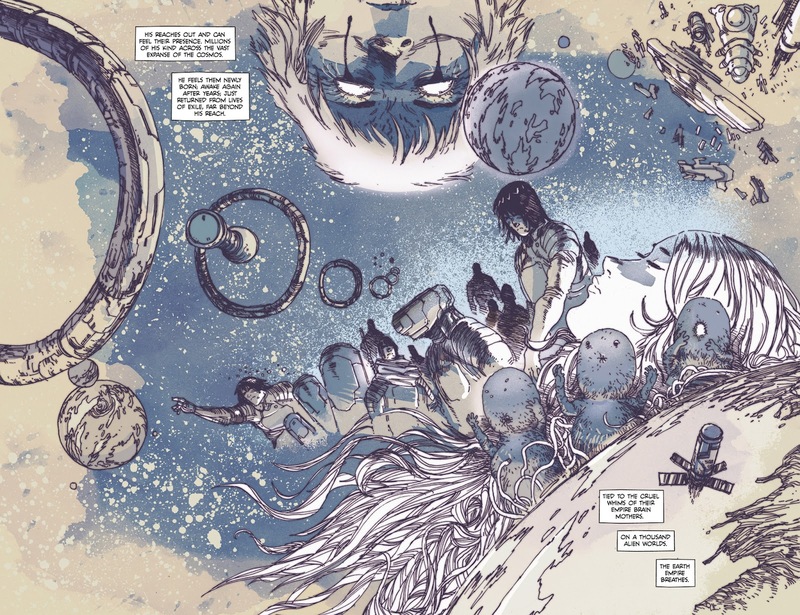 Graham takes readers on his unique ride with the help of an art team that consists of Simon Roy, Farel Dalrymple, Giannis Milonogiannis with Graham himself sometimes providing the art duties. My favorite so far is Milonogiannis; very simple art but conveys so much especially working with some muted but effective color schemes. 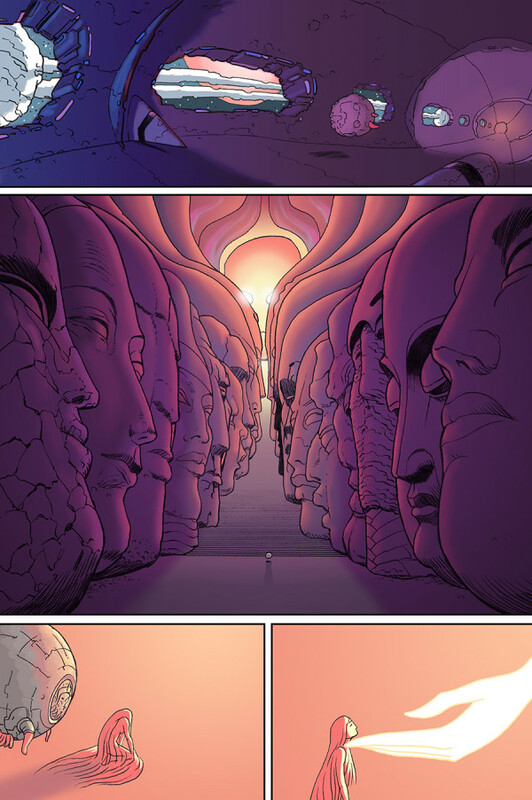 Occasionally, a guest artist will step in, like Dave Taylor whose work on Prophet sometimes resembles that of Moebius. 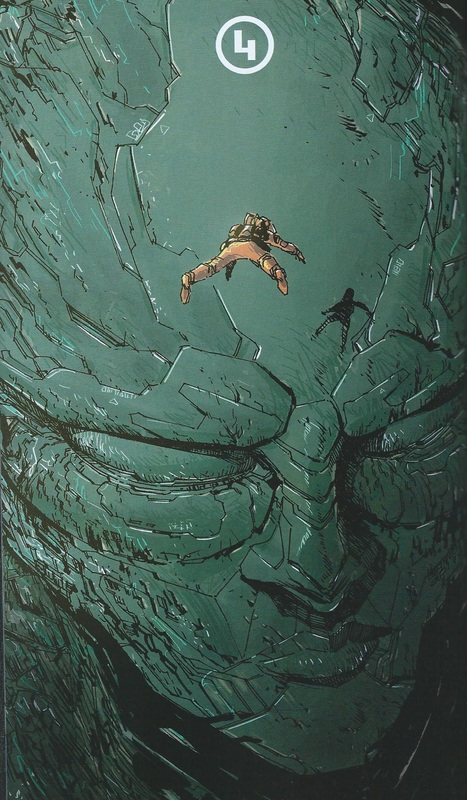 In fact some of the art throughout Prophet reminds me of the French artist’s work. Below you’ll see a few of the styles found in the pages of Prophet.